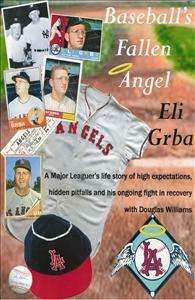 After pitching just two seasons for the New York Yankees, Eli Grba was the first player selected by the American League's new franchise, the Los Angeles Angels, in the expansion draft of 1960. Armed with a blazing fastball and devastating slider, he was destined for major league stardom. A beautiful home and family, and a promising career in baseball were all his for the taking until the demons of alcohol addiction took them all from him. In his autobiography, Baseball's Fallen Angel, Eli candidly recalls his lonely childhood in South Chicago, his successes as a scholastic athlete and his bizarre stint in the U.S. Army. He also delivers a personal, season-by-season account of his life in professional baseball, recounting his triumphs as well as his disappointments. Baseball's Fallen Angel is the true story of a major league pitcher who fought his way back from the depths of addiction to ultimately score the most thrilling victory of them all, a come-from-behind win in the game of life.